For those of you who celebrated Christmas this past weekend, I hope it was a time of joy and reconnecting with friends and family. Along with all that non-superficial good stuff, I also received a Wacom tablet, and took my first foray into the world of digital art. It’s been awhile since I’ve had a new toy to play with the day after Christmas, and it made me feel like a little kid again :). Here is my first attempt at figuring out how all of this works … I actually am pretty happy at how it turned out. That panda is so chill. Next, I wanted to try my hand at making some patterns. 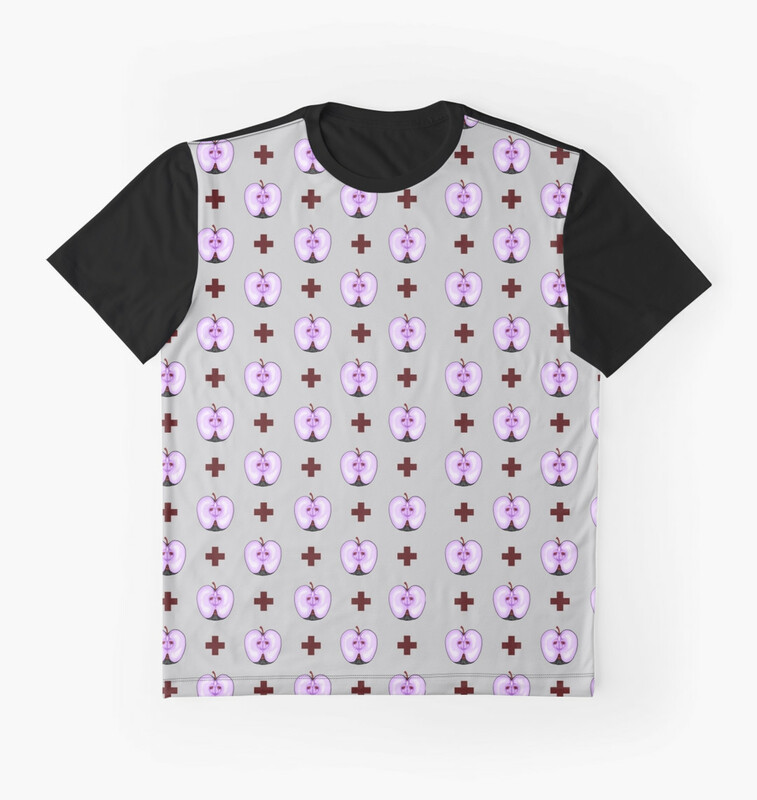 I like the idea of clothing and decoration as a means of turning oneself into a living work of art, and expressing oneself as a unique individual. When I was in high school, I actually thought about going into fashion design later, and then I realized I really hate sewing machines. I could design a real snazzy, runway ready pair of sweatpants maybe but that’s about it. I loved looking at and pairing different fabrics together, but when it came to actually sitting down and making something out of them … I lost interest. Fabric design if anything was much more my thing, and it’s one of the main reasons I decided to take the plunge into art’s digital world despite my many fears and misgivings. 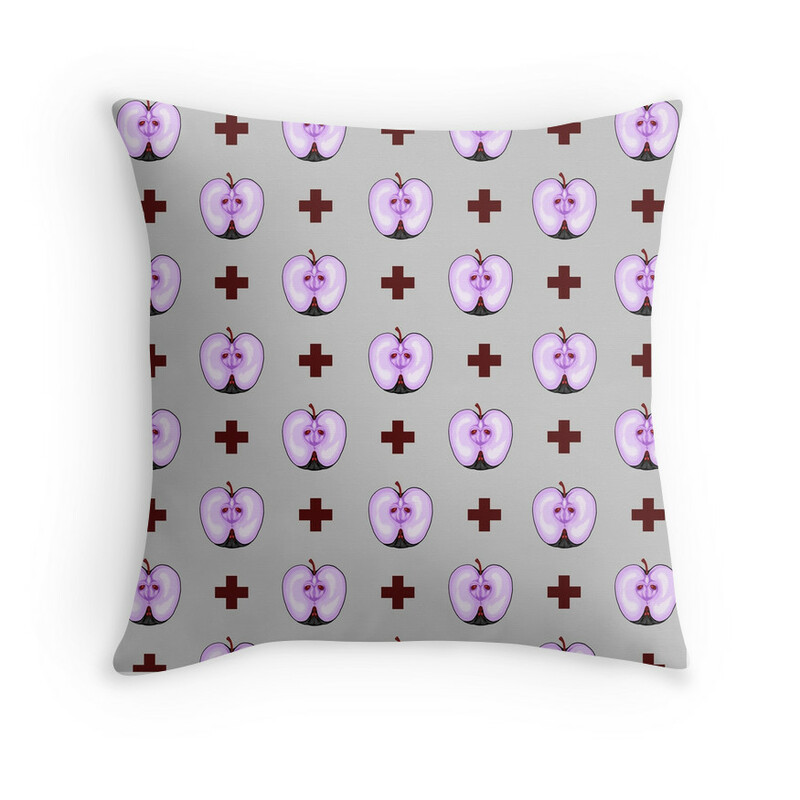 I finished my first pattern idea today, Black Apple, and posted it on Redbubble. I’m really pleased with how it looks. 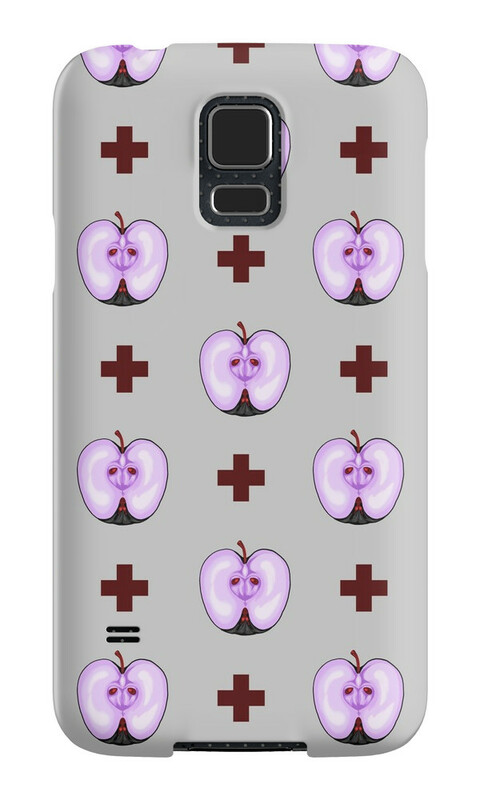 Redbubble is just full of fun patterns, and I’ve made a list of some of my personal favorites out there right now. I spent my childhood constructing elaborate environments for plastic dinosaurs in the sandbox with my best friend since age 2 (and still friends to this day! Shoutout to fellow blogger Erin Dalke!). Being a 90s kid in general, this struck a chord with me. I have a love affair with art deco patterns, and this updated colorful take on the classic fan pattern would look gorgeous on anything. I am using my interior design background to help my parents update their bathrooms, and we are going with retro black and white tile with pool blue accents. 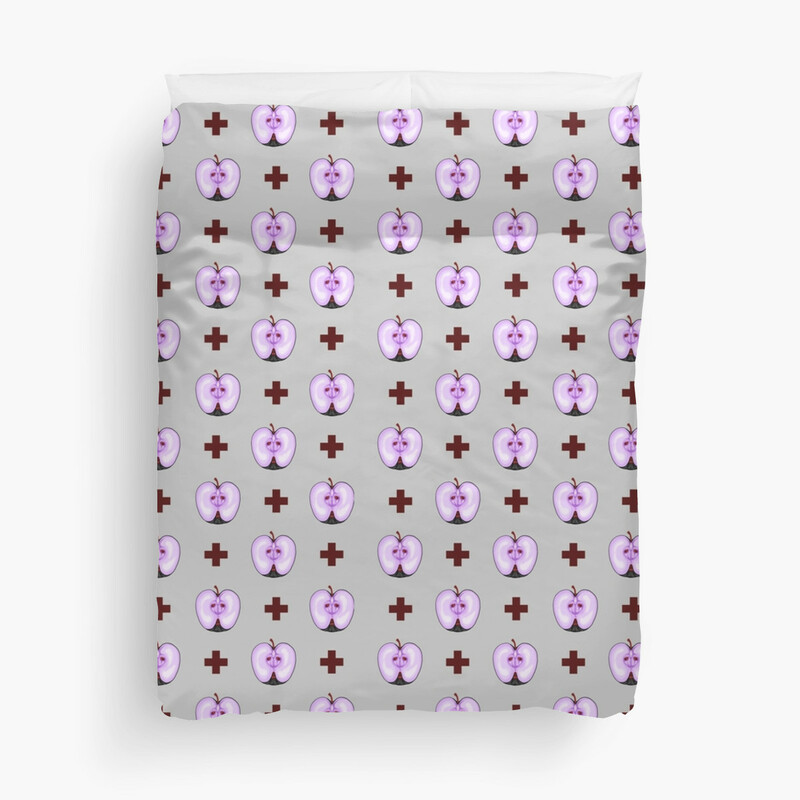 I love retro flowers, and having that project on the brain I couldn’t help but think it’s too bad this pattern doesn’t come in a shower curtain! The detail is lovely. This simple pattern is just so minimalist and classy, with a 60s pop art feel. The detailed decoration on all the balloons are what grabbed me initially, as well as the bright pops of color against the dark, neutral blue background. Another fun pattern that would look great anywhere. I have a thing for whimsical skeletons, and I have never seen anything that makes death look more adorable in my life. I adore cameos, and I like the fun, whimsical, cartoonish renderings shown here because they are so different, and stand out from the traditional formal, ornate renditions. Lastly, I have to love patterns with a sense of humor. What first drew me in was the beautiful rendering, sharp details, and bold colors. The closer I looked, the more hilarious personalities I noticed in each little “modern matryoshka”. This was a really fun idea, executed perfectly. If any of you have any digital art tips, feel free to shoot them my way – I’m definitely still in the “learning” phase. I’ll continue to share the new patterns I’ve been working on. I think butterflies are next!